Home Commentary Op-ed Op-ed: How Is Our Government Spending Federal Hurricane Relief Funds? Op-ed: How Is Our Government Spending Federal Hurricane Relief Funds? I have been speaking out and calling for this administration to be financially accountable and transparent to the people of the Virgin Islands and its auditors for over a year, all to no avail. As a result, we continue to see, hear and suffer from the consequences of its failure to do so. On Sept. 27, 2017, just days after Hurricanes Irma and Maria struck the Virgin Islands, I wrote an op-ed expressing my profound concern that money provided by FEMA would be mismanaged to the detriment of the Territory and our people. I cautioned that we could not risk mismanagement of these critical hurricane relief funds and recommended that we obtain, at a minimum, a firm written commitment from the Governor that he would obey Virgin Islands laws and provide full financial accountability and transparency for the people so that we could ensure that we were the ones truly benefitting and additionally, that strict monitoring of his commitment be imposed. On October 15, 2017, I spoke with Delegate Stacey Plaskett regarding my profound concerns about this administration’s willingness to provide financial accountability and transparency pertaining to all federal aid dollars. Its past record has been deplorable, to the extent that the Society of Professional Journalists awarded it in 2016 the 5th Annual Black Hole Award for “its bald and breathtaking contempt of the people’s right to know.” On October 16, 2017, I issued a press release demanding that the Governor immediately implement the recommendations in the September 29, 2017 Public Finance Authority audit by the Office of the Inspector General for the U. S. Department of Interior and the V.I. Inspector General. On March 15, 2018, I wrote yet another op-ed arguing that the Governor’s repeated extensions of the state of emergency further trample on V. I. laws requiring full financial accountability and transparency to the people. We are now in the middle of June, in a new hurricane season, and the state of emergency declarations continue unabated from last September and the previous hurricane season, further exacerbating the situation. Over the past week, to our surprise, the media has revealed that many hurricane relief contractors have not been paid for months, leaving hundreds of Virgin Islanders employed by these contractors either now without jobs or at risk of losing their jobs because of this administration’s failure to provide FEMA with necessary receipts for expenses. This government’s agreement with FEMA is that it is to pay contractors and FEMA would reimburse it after receiving documentation. In an article published on June 6, 2018 by The Washington Post, we learned that this government had not provided the necessary receipts: Ricardo Zuniga, a FEMA spokesman, said the territory asked to begin drawing down the $186 million for the STEP program – also known in the Virgin Islands as the Emergency Home Repairs Program – but FEMA’s Office of Legal Affairs raised concerns about some costs. Zuniga said the agency will authorize release of the funds only after receiving “appropriate documentation” of the project’s scope and cost. On June 11, we the people were advised by the Governor that these contractors would now be paid by the Commissioner of Finance $30 million via monies taken from other FEMA approved projects. What will happen when more monies are owed contractors in the future? To add insult to injury, the government’s website (http://www.usvipfa.com/hurricanehome.html ) that is supposed to provide the people of the Virgin Islands with information as to the amount of hurricane relief funds allotted and how these funds are being spent is woefully lacking in detail as to how money is being spent by government agencies. In the meantime, the media reported that the V.I. Department of Health has closed the immunization clinic on St. John due to a lack of funds and rumors abound as to whether the clinics on St. Thomas and St. Croix will be closed as well. These immunization clinics provide necessary immunizations at lower costs to adults and children who may be uninsured or under-insured. The bottom line is that the health of infants and young children will be the most at stake as they are the largest segment of the population who need regular immunizations. Importantly, the website shows that this department received $1.22 million from FEMA for public assistance, but, again, there is no detail as to what it has done with the money. It is obvious that this government takes from Peter to pay Paul and refuses to provide any accounting of what it is doing with federal hurricane relief monies. How much more money are contractors owed? How will contractors be paid going forward so we do not end up behind on payments in three weeks and more Virgin Islanders laid off? How much money does the government have in the General Fund to pay bills? How much money does it currently owe? This administration must immediately and continuously provide documentation required by FEMA, abide by V.I. laws that require financial accountability and transparency, and start putting the interests of the people of the Virgin Islands first. 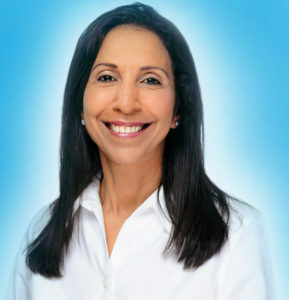 Editor’s note: Soraya Diase Coffelt is a candidate for governor of the Virgin Islands.